Interested in a different look? 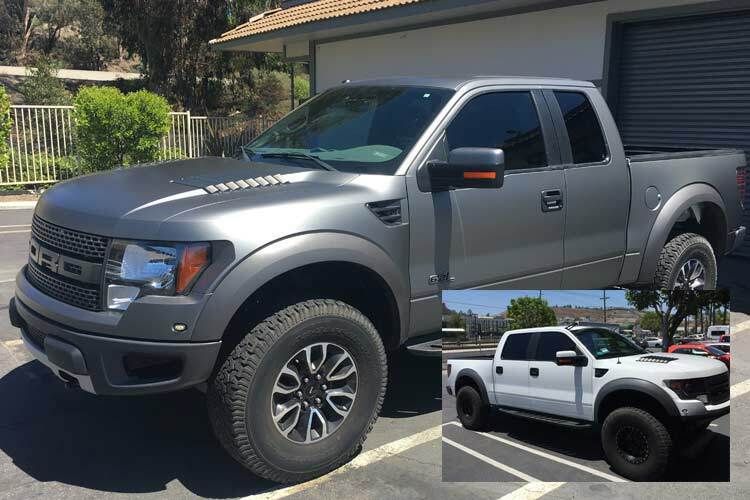 Check out how we took an ordinary white Ford Raptor and gave it a sleek, aggressive look. Contact us today to find out how we can transform your ride! 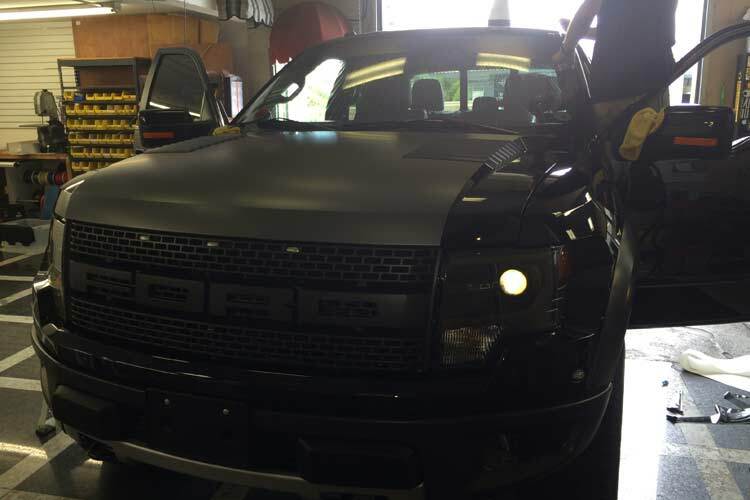 We installed a matte black wrap on the hood of this Ford Raptor to give it that extra aggressive look. Also we designed a custom visor decal on the windshield. When you are the Quickest Copy Center in town, you better have the fastest looking delivery truck in the business! If you are in business and you need people to know who you are, what you do, then do it with style like our friends at Kwik Kopy Printing!